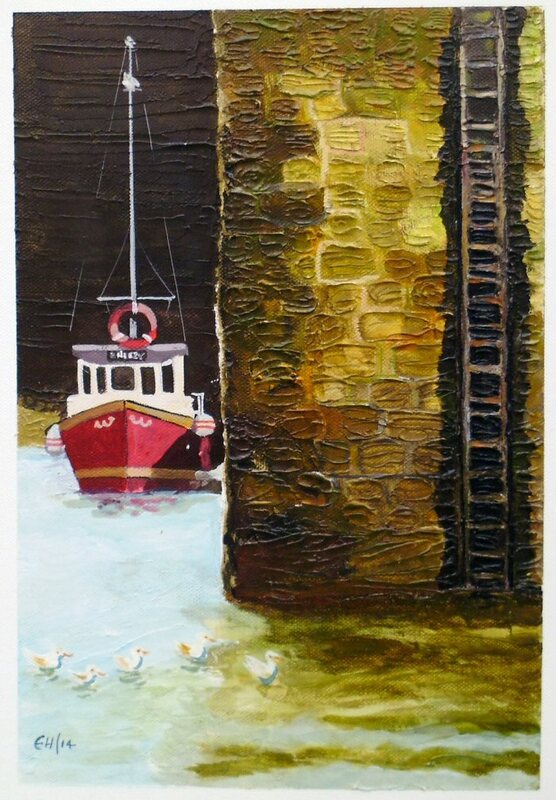 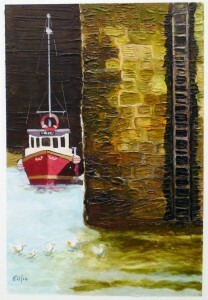 “Harbour Wall” – Texture paste and gouache on canvas board. – Size: 36cm x 25cm. “Tropical Delight” – Texture paste and gouache on canvas board. 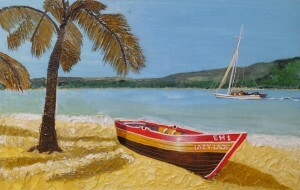 – Size: 20cm x 31cm. 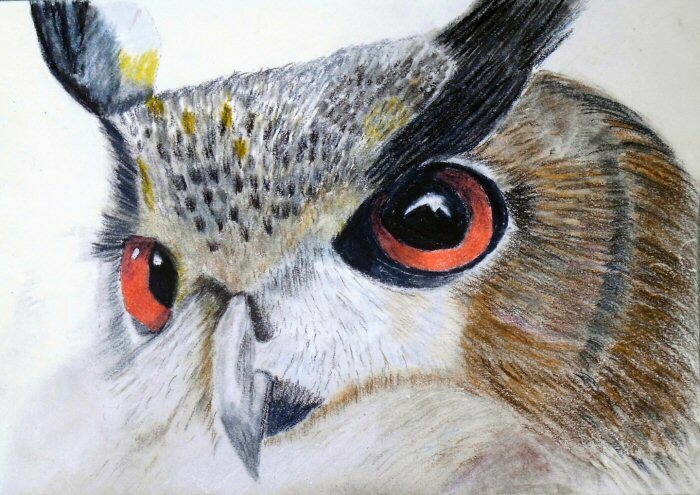 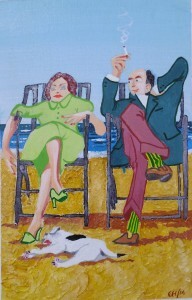 “This is the Life” -Texture paste and gouache on canvas board – Size:203mm x 305mm. 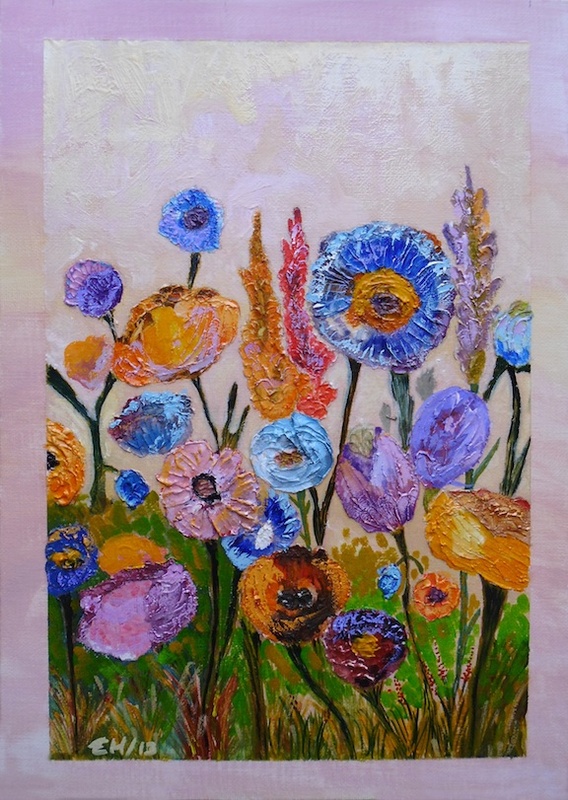 “Flowers” – Gouache and texture paste on canvas board Size 24cm x 35cm.